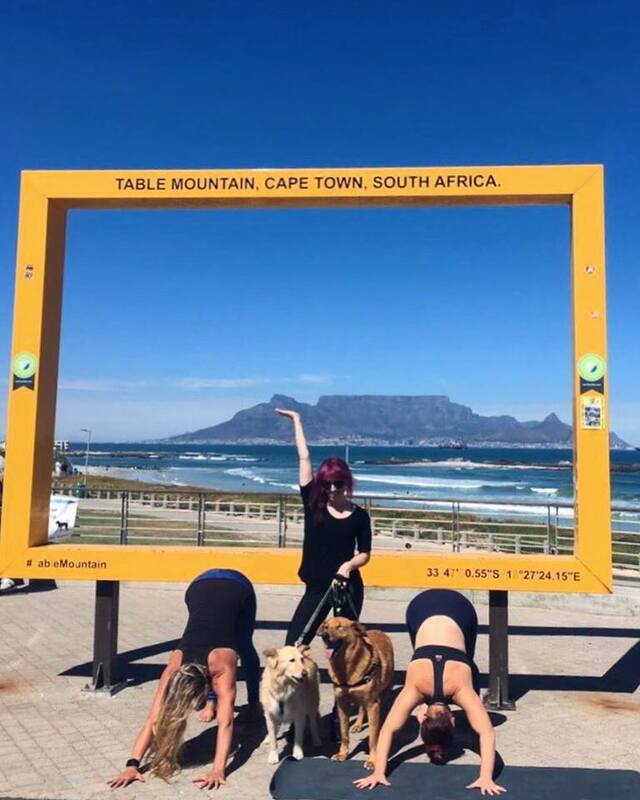 Michelle Banwell is a Cape Town based yoga instructor who is currently completing her masters degree in Neuroscience. After starting her yoga practice in 2011, she was immediately! hooked “It helped me understand how much of a benefit it is in so many different areas - psychologically and physically”. After finishing her honours in psychology, she completed her teacher training which solidified her love for the practice. Michelle knew that she wanted to launch her teaching career with an event that helped animals. With her previous experience of working with NGO’s, she understood the need of funding for these organisations. She was inspired to create an event that allowed people to come together for an activity, such as yoga, as well as contribute to a great cause! The first DDFD was held in May 2016 and Michelle has hosted 5 since then. The next event will be held in Cape Town on 2 December, with all funds going towards Change for the Better! “Animal welfare is a cause extremely close to my heart” says Michelle. There are so many unwanted animals in our country who cannot verbally ask for help. Michelle strives to give these animals a voice. This Happy Howlidays DDFD event is pulling out all the stops in order to pull off a Christmas miracle. Change for the Better Foundation strives to improve the overall health, living conditions and better treatment of animals in townships and less fortunate households. Over and above caring for over 250 animals, they also aim to educate people, implement programs for self-sustainability and help them to better take care of their animals. In the past two and a half years, they have made their Kraaifontein farm their home where they have been treating, rehabilitaing and re-homing animals. With their lease coming to an end at the end of December, they have the pressure to purchase the farm from the owner, or lose their home. They therefore need to raise R4.8 million before the end of 2018. Without this farm, they have nothing and nowhere to go, with 250 animals who will once again be homeless. “They are also very involved in the community” says Michelle, going on to explain that they also offer a Charity Shop and a safe space where the children of the community can come to do their homework. This event, held at The Good Comapny market in Cape Town CBD, is not just for yoga goers! There will be plenty of other attractions including the market with delicious food and drinks, book stalls, music and of course - puppies! “You don’t have to be able to touch your toes to join!” says Michelle, going on to explain that the yoga class will be suitable for all levels and ages. Although entrance into the event is free, a donation, monetary or in-kind, serves as your entrance fee. Flowing Nomads will also be offering an acro-yoga demonstration to those who are interested! No need to come with a partner or experience - all you need is a playful spirit! A highlight of this event are the great prizes to be won in their Raffle! DDFD have arranged some phenomenal sponsors who have donated the best prizes for a raffle, with all proceeds going to Change for the Better. Raffle tickets will put you into the draw to stand a chance to win yoga class packages, food hampers, yoga accessories and much more! “I have been really lucky to have been sponsored by these amazing companies” says Michelle, explaining how grateful she is for all the support she has received. “I have been blown away by the response this far”. Over the last 5 events, Michelle and DDFD have raised over R23 000 and 460kg of food. This year they hope to raise more for this cause. “Every little bit helps” - donations big or small!